Life size version of Hungry Hungry Hippos. It doesn't matter your age you will love playing this game. Grab the most balls and put them in your pouch while being pulled back with a bungee cord attached to your harness. 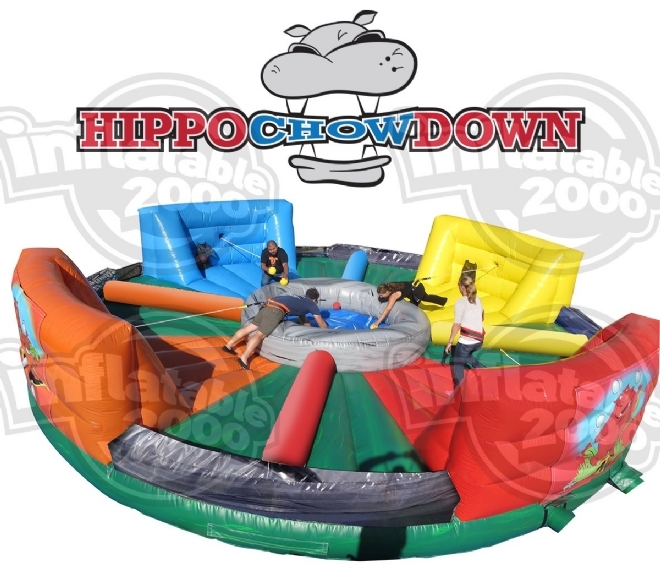 A fast-paced interactive inflatable game for all ages.